As an Instructor my duty is primarily teaching, which I greatly enjoy. I help provide the hands on, practical, one-on-one learning environment that sets Acadia apart from other universities. I supervise the laboratories for introductory biology and co-ordinate the first year program. I have been involved with field work and research on the endangered Blandings turtle since 1993, focusing mainly on nesting ecology. More recently I have become engaged in broader evolutionary questions concerning genetic determinism and the development of non-reproductive sexual behaviour. I am currently developing on-line versions of introductory biology where the real challenge is balancing the virtual teaching environment with the the biological environment. I research aquatic systems, and collaborate through biostatistics on other aquatic and terrestrial ecological projects. Currently, my students and I study population dynamics, conservation, stewardship and recreational angling of Striped Bass and two skate species (Winter and Little Skates), American Eel habitat use and population dynamics, introduced species (Smallmouth Bass and Chain Pickerel) and their effects on community structure using long-term datasets, and various smaller projects including lynx prey habitat use, squid and lady crab demographics, and the application of local ecological knowledge to conservation and management. As a biostatistician, I seek higher understanding in all things numerical. I am an ecologist and conservation biologist interested in all things “biodiversity”. 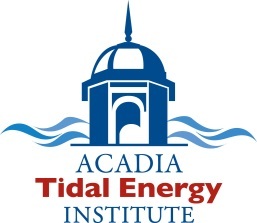 I returned to teach at Acadia after twenty-five years in government, where I used science as a basis to inform and improve conservation and resource use. My background includes research on birds, invertebrates, plants and endangered species. I am an immunologist who investigates how the immune system responds to microbes and cancer. My research interests include the investigation of mechanisms underlying the anticancer and immunomodulatory effects of natural products such as phytochemicals and anti-microbial peptides. A primary question that my research addresses is what are the benefits of natural products such as apples, berries and leafy vegetables or anti-microbial peptides on cancer cells and immune cell function? I am a comparative animal physiologist, interested in understanding how animals cope with environmental stress in marine and freshwater environments. We conduct experiments on campus as well as field-work in marine stations in Canada, the US and the tropics (preferably, during the Canadian winter!). My research program is focused on the feedback between behavioural and physiological responses allowing animals to compensate and maintain function in changing, often stressful environments. Over the past few years, we have been focused on thermal physiology and behaviour, and how the social environment affects how fish deal with stress such as high temperatures associated with climate change. We study a range of fishes including sharks, skates, Atlantic salmon, trout, hagfish, and mangrove fishes. I'm Hélène (pronounced L.N.) and I'm the Instructor for Microbial Biodiversity (BIOL 2053) and Cell Biology (BIOL 2013). I'm also the Health Sciences Advisor for Acadia and will help you with course selection, your schedule, and professional school information. If you just want to chat about your interests in any of the health sciences, such as medicine, dentistry, pharmacy, optometry, veterinary (just to name a few), send me an email to set up an appointment. I am a comparative biologist with broad research interests. My experience is in the field of molecular biology exploring gene signatures and proteins of vertebrate and invertebrate species. Other projects include examining the effects of parasitic manipulation at the molecular level and phylogenetic determinations of parasites. The focus of my lab is to identify changes in target molecules in animals in response to environmental stressors using advanced molecular and proteomic methods. I constantly strive to answer the question, "Stress, what is it good for?" My particular interests include floral character evolution in the large flowering plant family Rosaceae (apples, cherries, roses, strawberries, raspberries, pears, peaches, plums, almonds, etc.) and the genus Vaccinium (blueberries, cranberries, etc). The investigation of plant relationships (systematics) and the inference of common ancestry and evolution (phylogenetics) are important facets of understanding plant biology. Molecular sequence data from specific plant genes, morphological data (macro- and micro-) and ontogenetic data (plant, leaf, flower, fruit, and seed development) can all be used to study plant systematics, phylogeny and evolution. I am a developmental biologist that investigates developmental plasticity, epigenetics and regeneration. We work primarily with marine invertebrates and especially polychaetes, small animals that are abundant in the Minas Basin and have a rich diversity in of developmental patterns. We use a variety of approaches including microscopy (e.g., confocal, Scanning Electron Microscopy), histology and larval ecology. We are particularly interested in how maternal environment influences the development of young. My lab's research is focused on a fundamental understanding of olfactory processing, and the relationship between odours and an animal’s behaviour. More importantly, we look at the very basis of insect pheromone processing, developmental control of pheromone perception and related neuroanatomy, and the bases of physiological coding of odour blends within the insect brain. This includes investigations of learning and memory, and the effects of pharmacological agents on the insect nervous system. Insights from these studies are ultimately applied to the management of insect pests of forestry and agriculture. My job is to teach and coordinate the introductory biology laboratories. In these laboratories learners, along with a team of instructors and teaching assistants, explore different aspects of how organisms interact with their environment. I am a soil microbial ecologist, as such; I am interested in the role of the microorganisms that dwell in and around the plant roots. I am particularly interested in the area of direct influence of plant roots on the surrounding soil, known as the rhizosphere. In my research, I incorporate molecular tools, microbiology and more traditional biochemical techniques to explore the role of soil microorganisms in ecosystem function. My area of research is conservation biology, specifically related to the herpetofauna. I'm looking at ways to understand the ecology and behavior of species at risk, to help their preservation and long-term survival. My interests are diverse, but centre around the ecology and health of coastal habitats. Most of my lab’s research is undertaken in the Canadian Arctic (Nunavut) or coastal Nova Scotia, with a particular focus on using birds to assess the condition of marine and coastal environments. Two particularly fertile areas of investigation are anthropogenic effects on coastal wetlands, and using telemetry and paleo-environmental techniques to link nutrient and contaminant transport from marine to coastal environments. My primary interest is the management and recovery of species at risk. My students and I use a variety of genetic and field techniques to gain a better understanding of the distribution and ecology of threatened and endangered species primarily in Nova Scotia including Blanding’s turtles (Emydoidea blandingii), Eastern ribbonsnakes (Thamnophis sauritus), and Wood turtles (Glyptemys insculpta). My expertise and research interests are in coastal and marine ecology and have included a diverse range of projects undertaken with students and research colleagues in eastern Canada and Australia. They span plankton dynamics, saltmarsh communities, benthic biodiversity, invasive species (algae and tunicates), fish ecology, and acoustic detection of marine mammals and fish movements at high flow tidal energy development sites. Since 2009, my research has focused on the use of acoustic technologies to assess risk of tidal turbine interaction with marine biota (largely fish and harbour porpoise) at the FORCE turbine test site in Minas Passage, Bay of Fundy. My interests centre on how stressors affect organisms' physiology and reproductive ecology. Among the stressors Team Shutler works on are pesticides, heavy metals, plastics, low-quality nutrition, and parasites. My lab and I work primarily with birds (mostly tree swallows) and honey bees, but we make occasional forays into other systems. My publication list provides more detailed context. My research program involves investigating the coevolution of protozoan parasites and their vertebrate and invertebrate hosts. This research integrates aspects of morphology, physiology, ecology, evolutionary biology, cell biology and immunology to shed light on how the cellular interactions between parasites and host cells drive the evolution of parasite life cycles and the immune response of the host against these eukaryotic invaders. My teaching interests are varied, but all of the courses that I teach, including Microbial Biodiversity, Eukaryotic Microbiology and Parasitology, reflect aspects of my research interests. I am a field biologist specializing in animal behaviour, aquatic conservation, icythyology, invertebrate zoology and limnology. A love of the natural world and adventure has taken me to some of the most remote and challenging environments on the planet. My past research has involved aquaculture, aquatic habitat surveys and fish tracking. I have hands-on experience working with small, large and exotic veterinarians. I currently research the impact of anthropogenic obstructions on movements of alewife (Alosa pseudoharengus) and American eel elvers (Anguilla rostrata) while partnered with the Coastal Ecology Lab (Acadia University) and Ducks Unlimited Canada. I also help with my family’s sheep dairy. I am an evolutionary biologist and I use DNA sequence data to study processes of molecular evolution and molecular systematics in a variety of organisms. I am particularly interested in the unusual system of "doubly uniparental inheritance" of mitochondrial DNA in bivalves, in the phylogeography/historical biogeography of various species in Atlantic Canada, and in the adaptive molecular evolution of digestive enzymes in shrews. I also collaborate with others in the department on the population genetics of coyotes, black bears, skates, striped bass, and purple sandpipers. The focus of my research program is to quantify how anthropogenic disturbances in coastal ecosystems impact the spatial behaviour of fishes covering small to large spatial and temporal scales, may inflict mortality, and how such knowledge can be used to mitigate the negative effects of such activities on fish populations. I study how animals move through landscapes, and how movement influences population dynamics. I also work with several NGOs (Resilience Alliance; Bird Studies Canada) on conservation of social-ecological systems. I study the taxonomy and ecology of fungal endophytes of coastal and marine plants. Research in my lab includes collecting in seagrass, saltmarsh, intertidal, and Acadian forest habitats and traditional culture-based and microscopic identification of fungi, combined with modern molecular phylogenetic and ITS barcoding methods, DNA community fingerprinting, qPCR probe design and genomics. Recent collaborative projects have discovered a new fungal species Ophiognomonia acadiensis and a new source of the antifungal compound griseofulvin, both from Canada’s Acadian forest. My research program focuses on the role of relaxin family peptides and their receptors in the protection of neural tissue under ischemic stress. My research interests are broad ranging from natural history of beetles and birds in forested and agricultural landscapes to population studies focusing on movement of the Forked fungus beetle. I believe in active learning. What I mean by that is involving the students in discussions, debates, presentations, and writing critiques and essays. This way students have to use their heads while the course is being taught. My students and I explore the interface between humans and biodiversity - from the dynamics and conservation of small isolated populations, to the role of science in managing protected areas, to the impacts of globalization on biodiversity, and the role of citizen science and community engagement in recovery of species-at-risk. Most of our recent work focuses on endangered turtles and snakes in the Southwest Nova Biosphere Reserve. I am a plant ecologist with particular interests in population biology and eco-physiology. My courses emphasize the development of critical thinking skills and utilize the many interesting local ecosystems through field trips and the use of local materials and examples. I conduct research in a variety of areas including: the impact of rising atmospheric carbon dioxide levels on plant growth and development, the factors limiting the distribution and abundance of rare and endangered species, plant-insect interactions and the physiological basis for life history variation in plants. My research interests are in comparative physiology of live amphibians. I am now semi-retired from research, but have studied the physiology of the lymphatic system, ionic and water movement across the skin and between internal body compartments, endocrinology of water and ion transport processes, acid-base regulation, and respiratory physiology in live, freely moving animals as they interact with their environment.